Accidents can be very unfortunate events, but they can be compounded when you do not take proper actions. The actions you take can have a significant influence on the outcome of the accident; including the health of you or your passengers, liabilities and claims, and your compensation claim after the accident. If the accident was not your fault and you or your passengers do become seriously injured, these different steps can make a huge difference. Should you become involved in an accident, hopefully you will have memorized these critical steps ahead of time. When the accident occurs, you will probably be incredibly shaken or in shock. However, you must attempt to take as much evidence of the wreck as possible in footage form; recording it via video and photograph is very important. The first photos should include not only a general glimpse of the wreck, but they should also include the other party’s license plate just in case. Once you have gotten general photos of the wreck (from different angles of course), you should take more detailed photos to document any and all damage, along with injuries. This photo and video proof of the accident will be more than enough to prove a case, especially if you are going to be filing a claim. No win no fee attorneys are one of the best options available for case review, as they can pursue a valid case without charging fees until after it has won. After the police have assisted your wreck, you should immediately report the accident to your insurance agent. Once reported, your insurance company will begin to work with the other party’s insurance company and the police report to establish what they will do regarding the accident and the damages incurred. 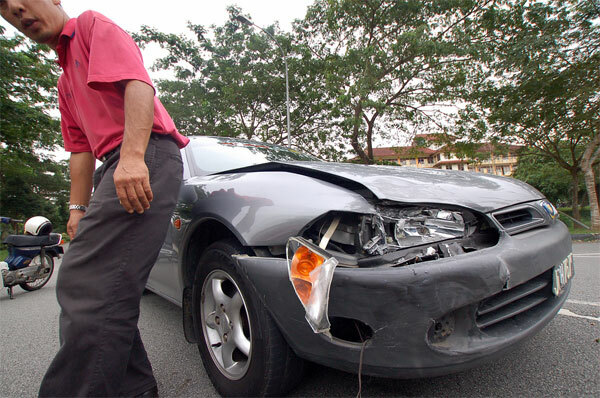 It is mandatory to report accidents to your insurance company, as well. It is always a good idea to keep a kit full of information regarding each of your frequent passengers. This kit should include all basic information on each person, and any allergies they may have. Also include important surgeries and notes regarding health conditions, and several contact numbers should the people in your vehicle become severely injured and unable to reveal this information themselves. This could save their lives, and their loved ones will find out much faster. This article is presented by First4Lawyers, one of the pioneers in injury claim and medical negligence claims.